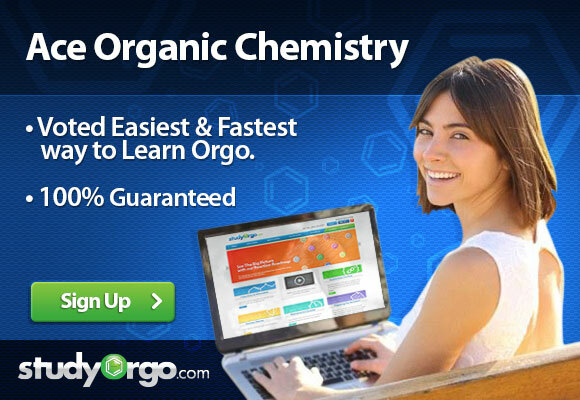 Many students have commented to us as StudyOrgo.com that they have the “hard” organic chemistry professor. They are usually described as being picky graders, asking impossible problems and giving no feedback on what the student did wrong. But our experts at StudyOgo are here to let you know…there is no upper hand any professor has over their students. The materials and principles of Orgo 1 have not changed in over 50 years! The good news is that there is no question a professor can ask that isn’t straight out of your text book. So what makes them so hard? Here are a few types of professors and advice on how to meet or beat their course! This is by far the most common problem of “hard” professors. Hand-written notes, a ‘chalk-talk’ where they do more erasing than writing, or a PowerPoint with figures straight out of the text book but no explanations. Most of these teaching tools are not very useful for the confused Orgo student, because it causes more confusion than it clears up. This leads to frustration and makes the student fall further behind. Keep up to date with the material. Divide your time over how many chapters of material you have and this will give yourself a deadline to complete the material. Read the book, as painful as it sounds, and each assigned chapter non-stop the first time through and the next day, go back to problematic sections for help. Sign up with StudyOrgo.com! Our team of experts as developed a custom presentation of difficult concepts in organic chemistry into an easy to understand format with a step-by-step breakdown and description of common reaction mechanisms in organic chemistry, complete with quiz-mode to check yourself once you think you have the hang of the reaction. Check out free radical halogenation on our website! Are you studying on the go? Check out the StudyOrgo.com mobile app for mobile flashcards to pass the time on the train or bus! Problem #2: Separating the A’s from the B’s. You are likely in a class where Orgo Chem is a degree requirement. Many professors will throw in “really hard” questions that terrify students and appears heartless. Professors do this to assign A’s to the students who have kept up and followed along the whole time. We believe you can be one of the few who aces these questions! Check out the solution manual for your text book from the local library and try as many problems as you can on the material you find most difficult. Remember; there are only so many ways a professor can ask you a question. If you see a ton of practice problems, the probability of them asking a question you have already seen is extremely high. This means you will be ready for any question they ask. At StudyOrgo.com, we break down each mechanism in detail so when you practice your problem sets, you’ll have all the details. Many times, professors will expect you to apply your knowledge to a problem you haven’t seen before. After all, this is what scientists do every single day! Since almost all professors are scientists, they often mix their research ideals with teaching, which can make it seem very hard. But the experts at StudyOrgo know you can do it! Learning organic chemistry is like building pyramid; the top will fall without a strong base. Go back to Chapter 1 and complete the assigned questions and DO NOT STOP until you can answer them all! By the middle of the practice problems, you will start to feel like this isn’t so bad. Then go on to try Chapter 2, Chapter 3, and so on and in no time you’ll be ready for the big test! When confronted by these questions, think: “what is this question asking for that we covered already?” When you come up with an answer, this can help you narrow down what concept to recall and help beat that “overwhelming” anxious feeling after reading the question. After you relax, you’ll be ready because of all of you preparation! Following these tips will allow you to pass any Orgo Chem class taught be even the most difficult professor. Although it might not seem like it in the moment, they want you to do well so get out there an impress them!